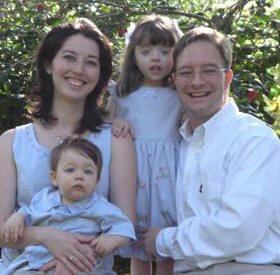 My guests this month are Trent and Allison Tuggle of Orlando, Florida. Listen in as they tell us how they began a simple but effective Family Devotion routine in their home. Our prayer is that this interview will encourage you to begin a similar routine in your home. View Allison's blog at www.domesticadventures.com to hear about her adventures as a stay at home mom.